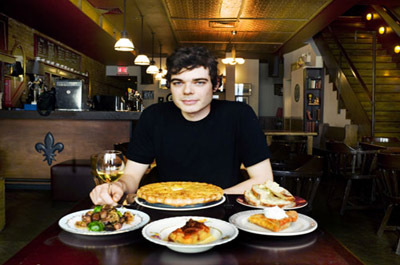 Since its grand opening in 2006, the bistro-store Euro-Polonia has been delighting Montrealers with its homey atmosphere and delicious food. 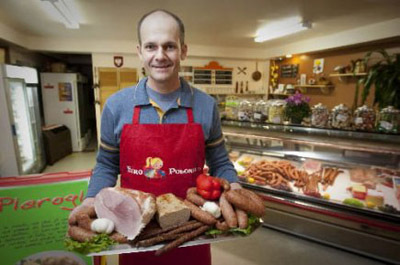 Our establishment is a family business that chiefly prides itself in making traditional polish foods from scratch using recipes passed on through generations. Our entirely original recipes, fresh products and many years of culinary experience make us the perfect destination for a quick healthy lunch or purchasing specific European products. Krokiets, cabbage rolls, polish sausage sauerkraut and bortsch are only a few of our refined polish specialties. We are especially proud of our unique pierogis, of which we offer twelve appetizing varieties. What’s more, in order to satisfy a panoply of clients, we also offer vegetarian versions of all our products.